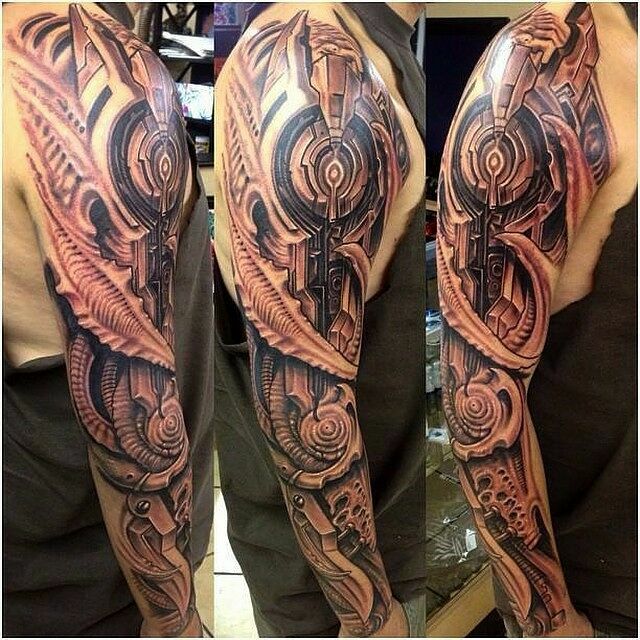 Biomechanical tattoos are seriously cool. 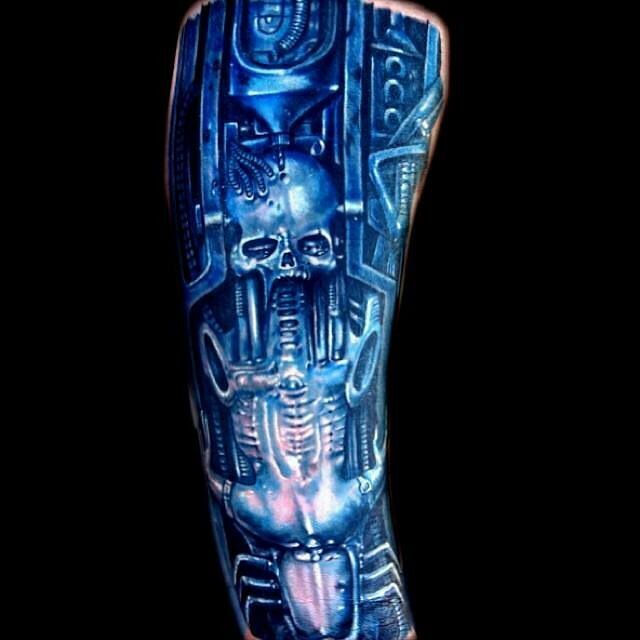 If you're the kind of person who digs HR Giger then it's possible that biomechanical tattoo designs might well feature on your inking wishlist. 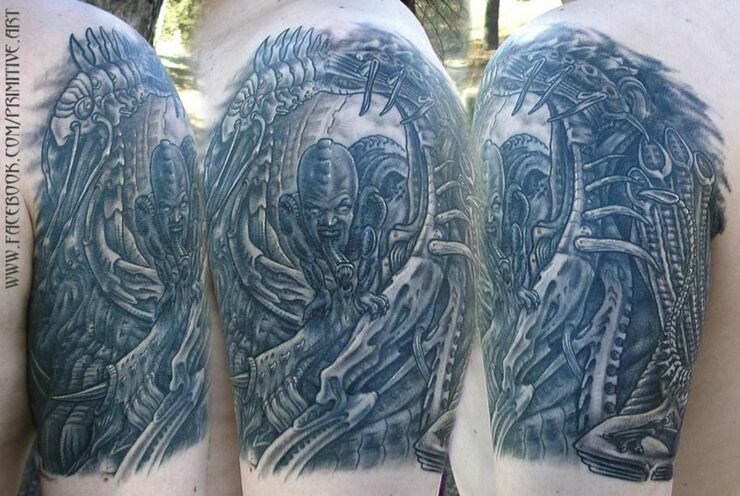 Because their concepts and tattoo designs take their inspiration from the mind of Giger, a Swiss artist and an early proponent of biomechanical art, which mixes organic and machines, in his designs for Ridley Scott's Alien movie in the 1970s. 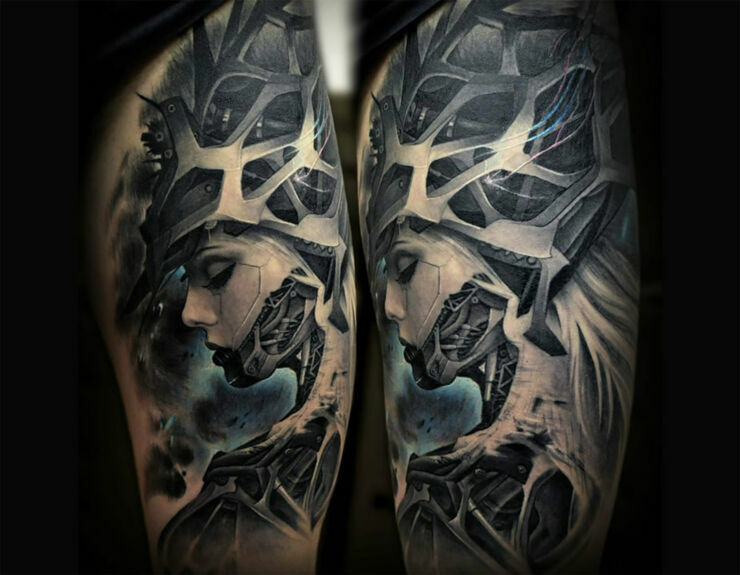 In the artworks, although surreal due to the nature of what they depict—the combination of human or animals forms with machine elements is portrayed in a realistic way. 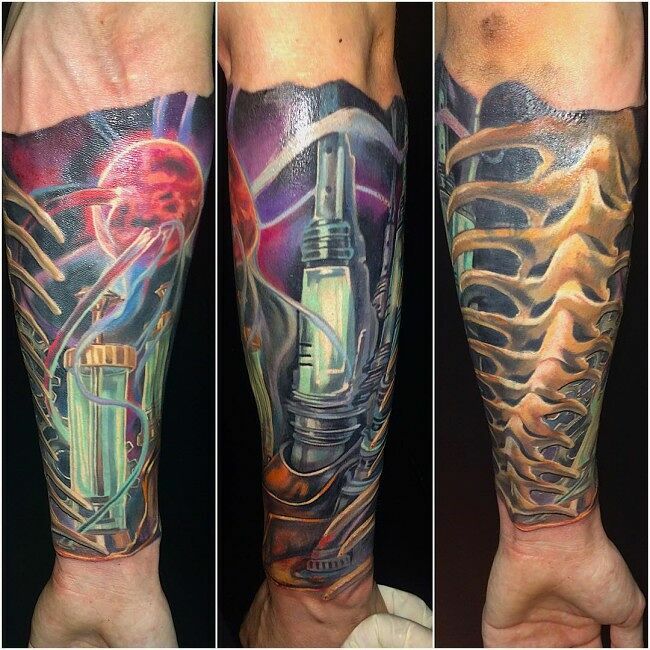 And often bones, muscles, and joints are replaced with robotic parts, pistons, or gears. 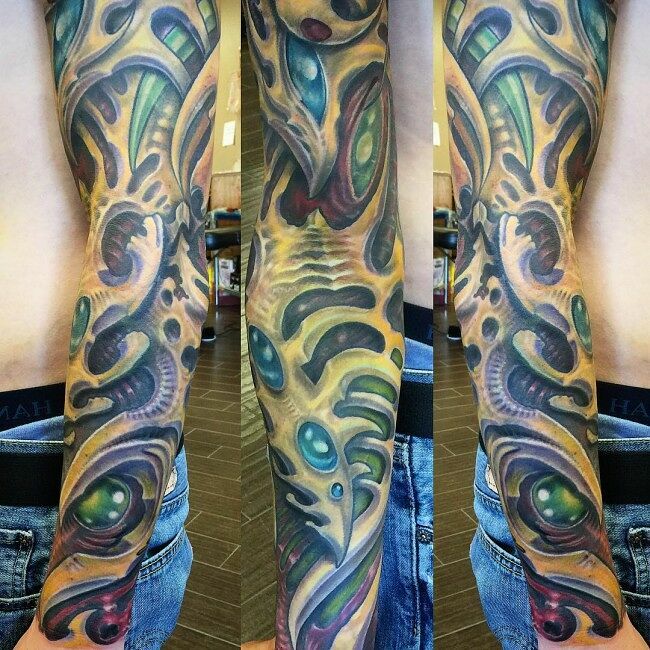 The mixture of machine elements and organics delivers a surreal result. 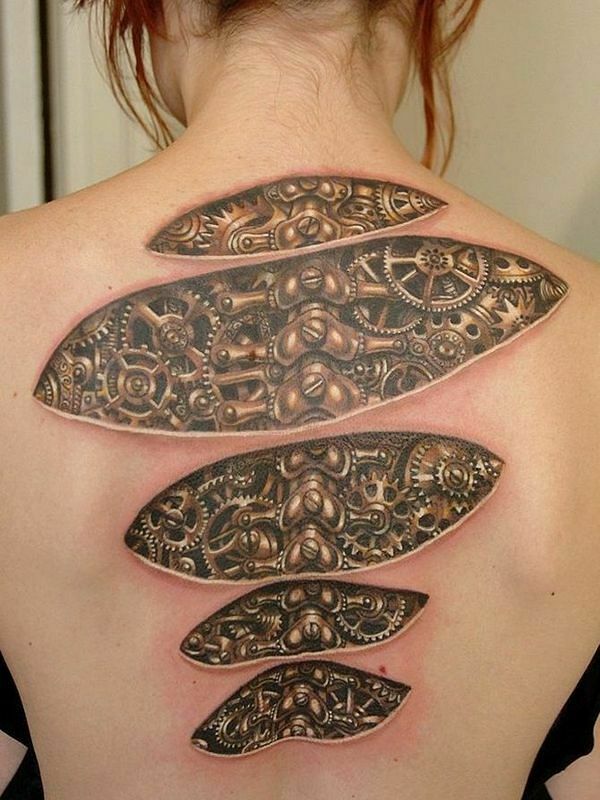 Which is why getting a biomechanical tattoo is so popular with people who like this art style. 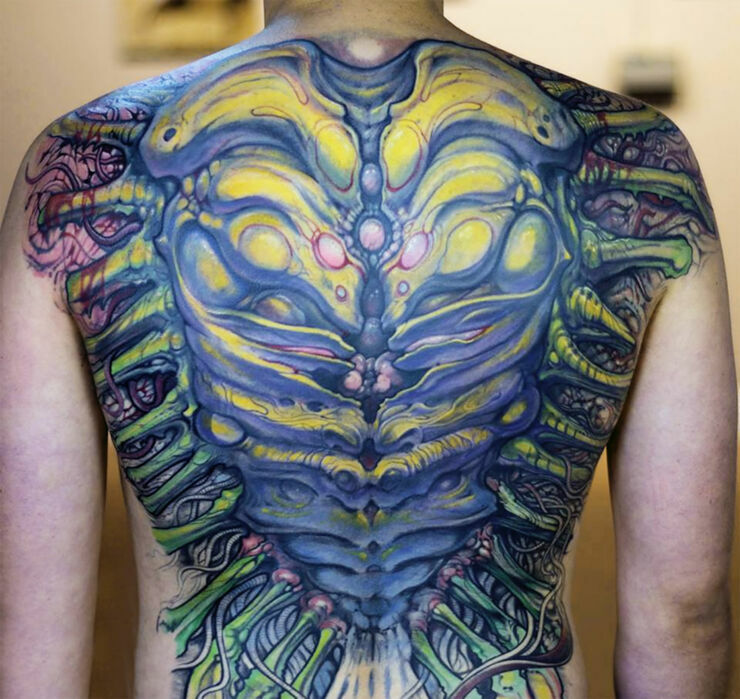 Because you can draw over parts of the body, turning it into fantasy artwork as your body parts are turned into stylized machine parts. 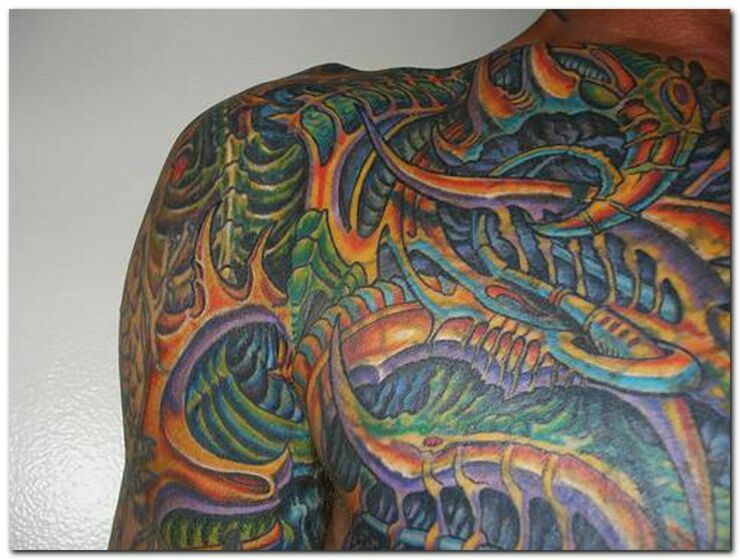 They come in a wide variety of designs and colors, all you have to do is choose the right design for you. 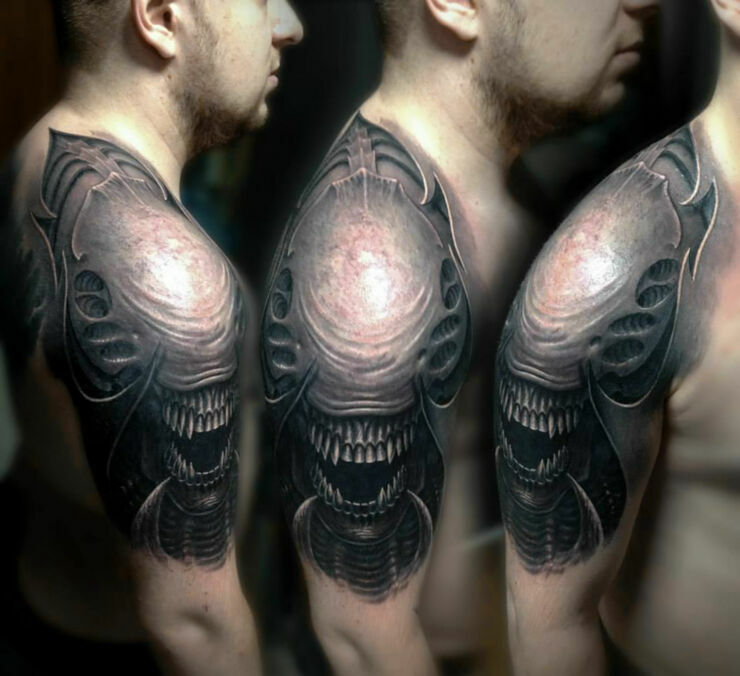 The release of the original Alien film had an impact not just on movie fans, but also on the creative movement as well. 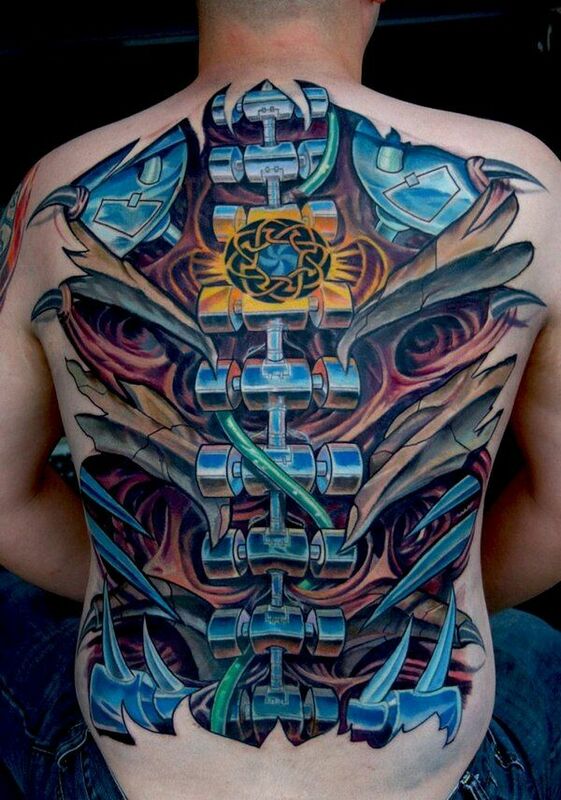 After it came out he whole biomechanical tattoo movement took off. 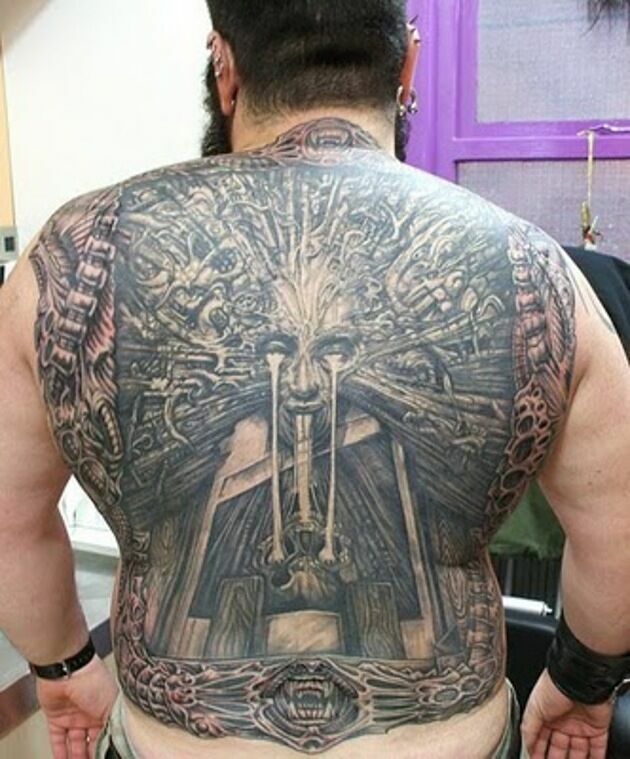 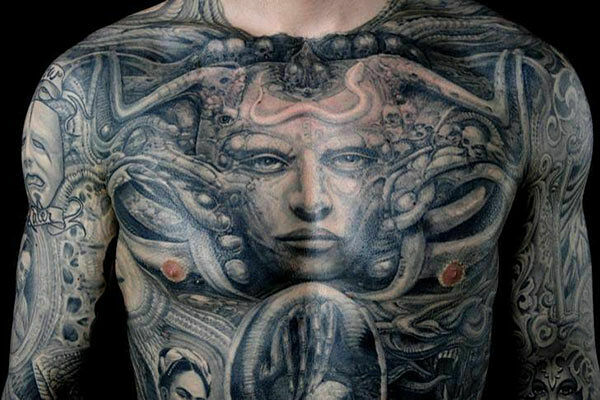 Tattooists used images directly from the movie, and HR Giger's Necronomicon book—which is the book that inspired Scott to hire Giger for Alien. 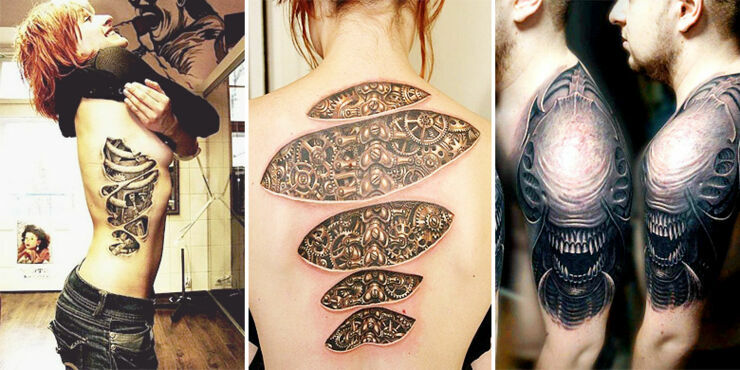 Then original designs came to be made, like those of celebrated tattooist Guy Aitchison who began doing more abstract biomechanical tattoos. 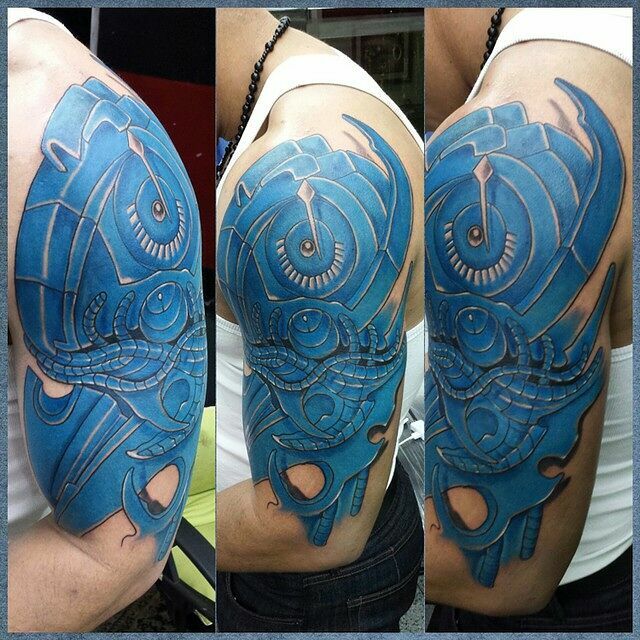 Now its a hugely popular style. 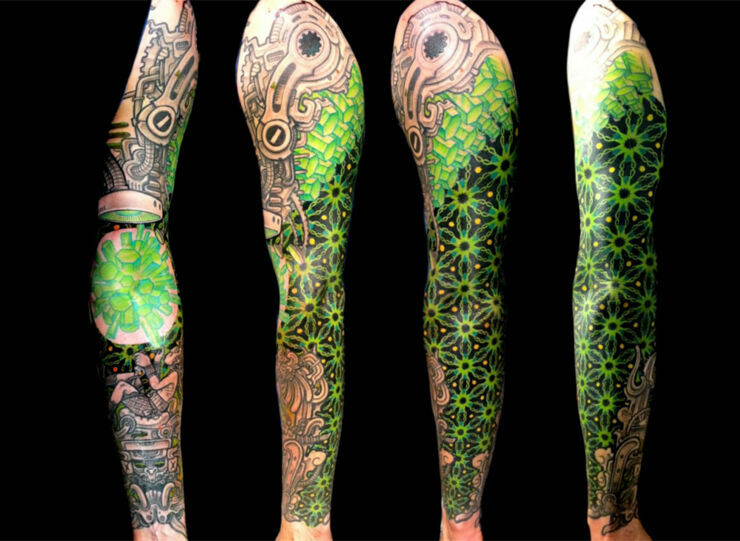 In the video above artists Paul Booth, Marco Velasquez, and Jeff Croci talk about why they find the biology meets tech style so appealing—and enjoyable to do too as tattooists. 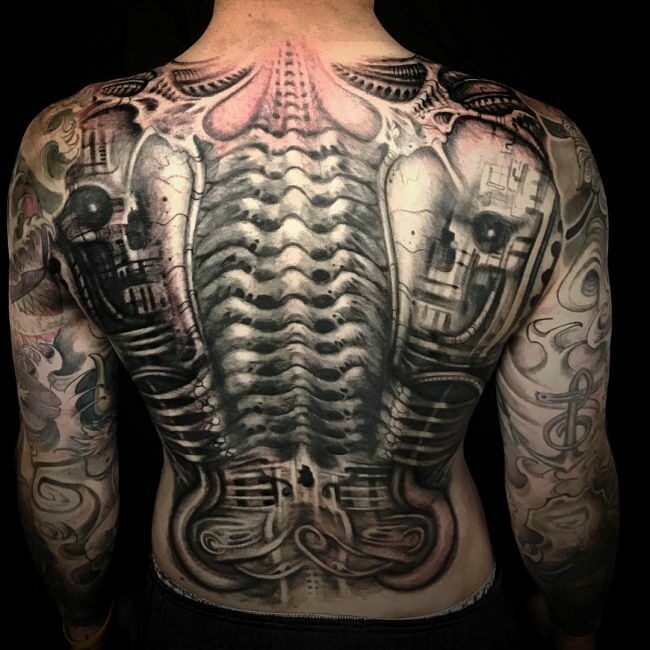 "Biomechanical is basically anything with a man made, industrial-like feel to it." 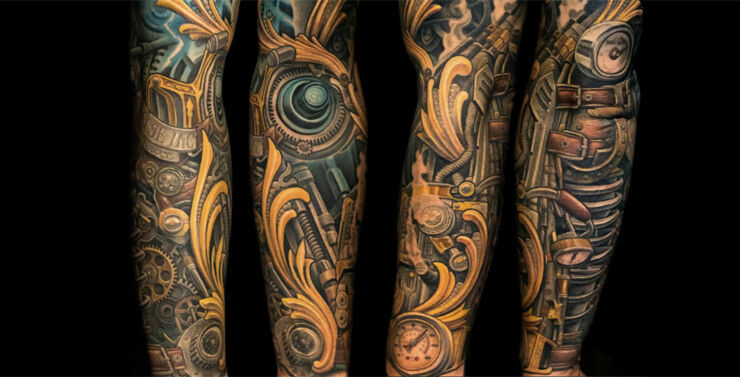 notes Booth. 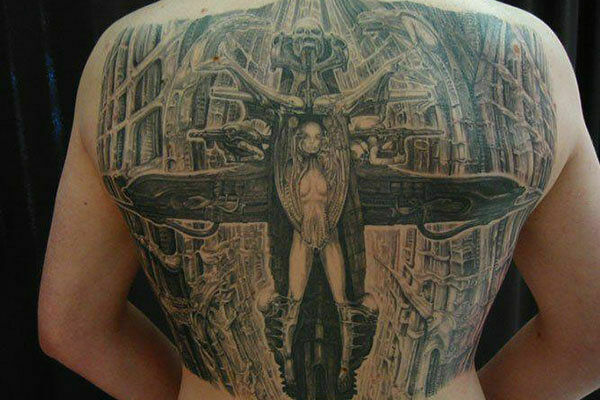 "And marrying it to the organics. 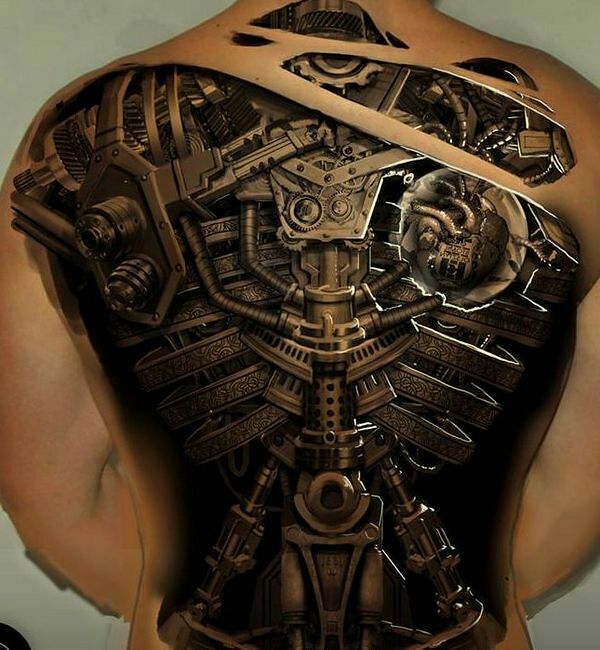 Imagining a machine built and made out of muscle tissue—humanesque in a way, but absolutely not humanesque at all at the same time." 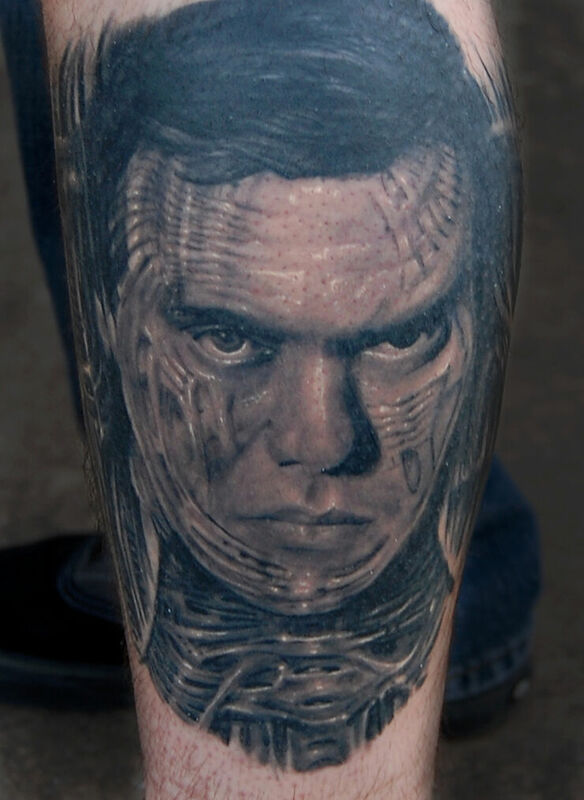 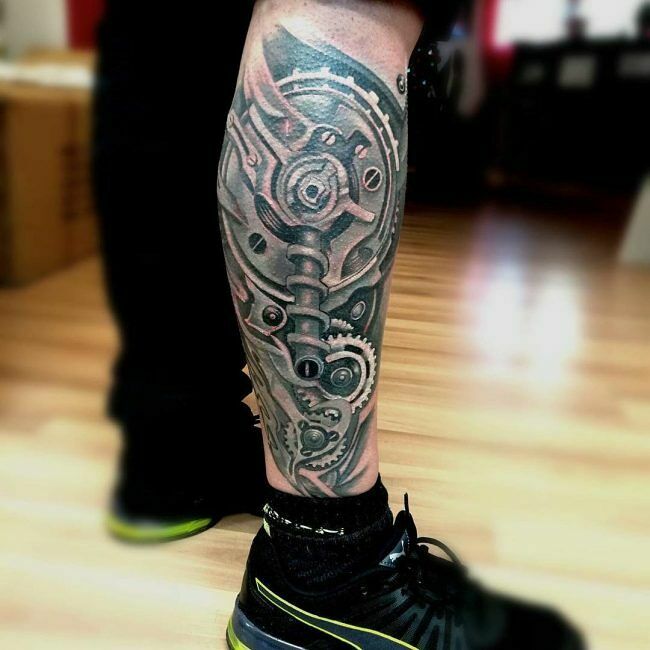 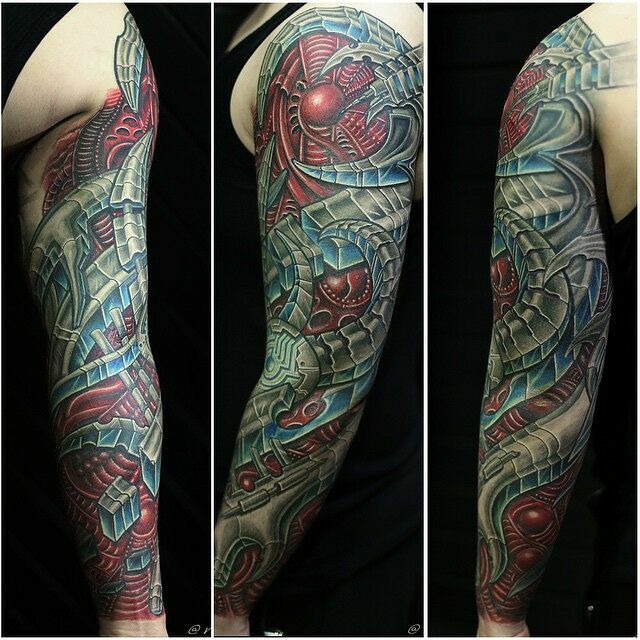 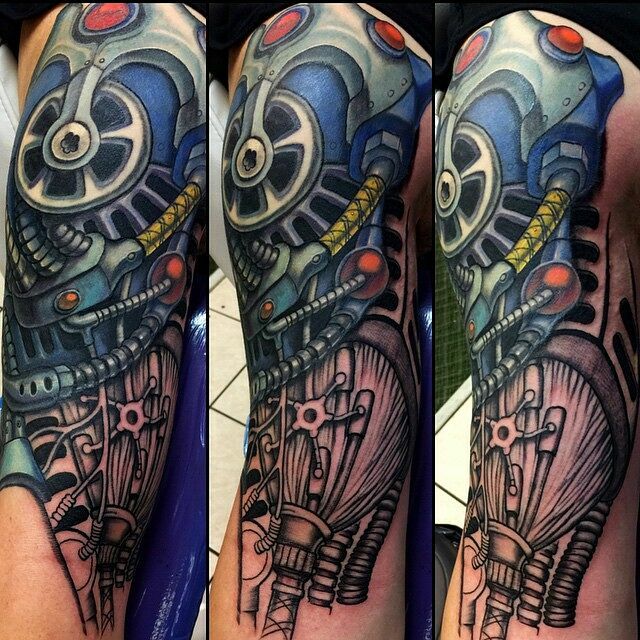 Check out some of our favorite biomechanical tattoo designs below.